There are many misconceptions about exactly what it is that an auto accident attorney in California does. We’ve encountered several of them over the years. Seemingly, one of the most prevalent is that we come to you. Some people seem to think that attorneys wait by a police scanner or check social media for car accidents, and then go to the scene. Nothing could be further from the truth. When you need a car accident attorney, you should contact us. We offer free consultations. That means you’ll be able to sit down with some professionals at our law firm while we look for the best way that we can help you. In this blog, we’ll touch on what car accident attorneys do and what they should do. What Should an Auto Accident Attorney in California not do? Unfortunately, we’ve found that there are many other law firms in the area that don’t feel the same way. They’ll say that their “personal injury attorneys” are actually “car accident attorneys” and then, when you ask them about, you’ll find that these attorneys have never really gone through a car accident case before. Or alternately, if they have, they haven’t been through many. We put our track record up against anyone’s. We know that you have many choices for car accident attorneys in this city. Ours have the kind of experience and resources that get clients what they deserve. A car accident attorney from our firm can make your recovery quite a bit easier. Beyond any of the questions of compensation, bills and all of that, one of the most important functions that a car accident attorney from our firm can provide is to free up your time. Many of our clients have been through awful car crashes. Their rehab is long and trying. That is what someone who’s been injured should be concerned about: their own recovery. That’s what matters most to our clients as well as the people in their lives who depend upon them. When you hire a car accident attorney, you give yourself one less thing to worry about. After all, our car accident attorneys are true professionals. We know that many people have thought: “well, I could just represent myself in my own case.” That’s far easier said than done, and it can cause you to lose out on all of the compensation that you may be entitled to. When you talk to the insurance company, or the other side’s lawyers, you won’t have the experience and training that they do. You’ll essentially be at their mercy, as their knowledge of the laws regarding car accident goes back years or even decades. It can be extremely stressful for our clients to have to deal with the insurance company. Few like to have to deal with insurance when they’re 100%, much less when they’re recovering from an injury. Moreover, once you’ve been through an accident, the insurance company will do everything they can to make sure you get less money than you might otherwise be entitled to. You’ll probably be reached out to by a representative of the insurance company who will seem warm and friendly, but their only goal in talking to you is to get you to take less money than you should. This insurance adjuster may have many different ways of making this happen. They could try to get you to say something about your condition that they could use against you later. Perhaps they might try to get you to give a written statement that could also be used against you. Other popular tricks include reaching out to you as early as possible (sometimes even the day of the accident!) That way, when you’re at your most vulnerable, they can get you to sign away your rights. They may also make you an offer extremely quickly, hoping that you’ll be desperate enough to take any money right then and there. One of the most important tasks we can do for our clients is to talk to insurance companies for them. When you hire us, you don’t have to communicate with the other driver’s insurer anymore. We can do it for you. It’s one less thing for you to worry about, one less stressor to plague your day. Again, when you’re recovering, you’re going to be dealing with enough stress. You don’t need more. It’s not easy for someone to get all of their medical records together. That’s one important service that we can provide. 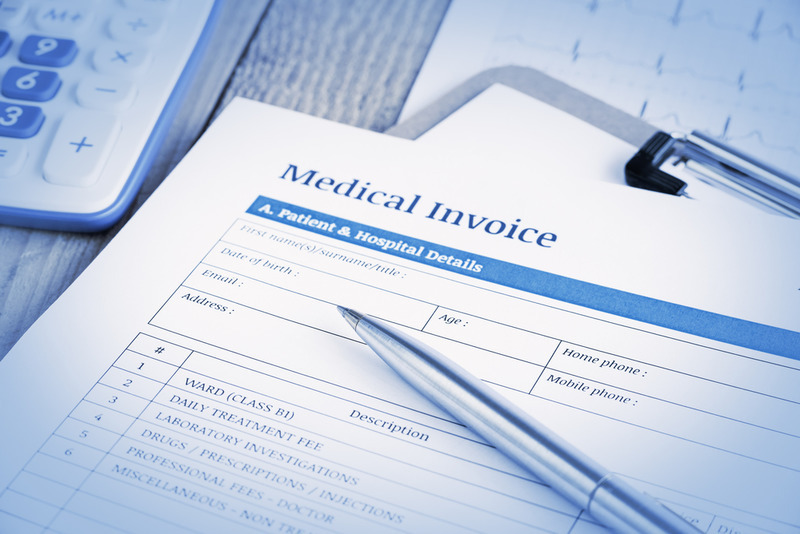 We can put all of your medical records and bills together in one place. That way, we know how much compensation to ask for, to make sure that you get. On top of that, we make sure to locate any bills that might be missing, too. By working with your health care providers, we can make sure that you get all of your bills in one place. We also keep in touch with your doctors and other medical providers so that we have all of the necessary medical information, too. When we seek to get you damages, we want to make sure that we’re asking for the right ones. We’ll sit down with your medical providers to make sure that all of the facts are together, so that we can get you what you deserve. Part of that is making sure that you have the most compelling case. Investigation can be critical to a car accident case. Fortunately, here at the LA Injury Group, we have a truly top flight team of investigators. From the moment you hire us, we send them out to investigate your car accident. They can track down witnesses, evidence, get pictures and more. If there’s some piece of evidence that can prove what really happened at your accident, they can find it. Of course, sometimes environmental evidence washes away. That’s why we always recommend that our clients hire us as quickly as possible. Not every car accident case goes to trial. In fact, a minority do. Most of them are resolved through negotiation. We have a proven track record of getting our clients the compensation they deserve through strong, aggressive negotiation. Years of experience come in handy here. We know what arguments the insurance companies are going to make, and we know how to get around them. Of course, sometimes these cases do go to trial. When that happens, we’re ready. The LA Injury Group has a courtroom record that we’ll put up against anyone else in town. Going to court is an excellent opportunity to stand up for our clients. It’s a great responsibility that we take very seriously. Whatever it takes, we work to get you your compensation. We get paid on contingency, which is just a word that means we get paid when you do. Indeed, you don’t have to pay for our services as the case goes on, we’ll just take our money out of what we win in the end. Should you be in a car accident, or really suffer any kind of personal injury that was caused by another, contact us for a free consultation at (818) 210-4558.